The office of Kimihiko Okada makes the science behind climate change easier to understand with these massive recyclable aluminum mountains in Japan. 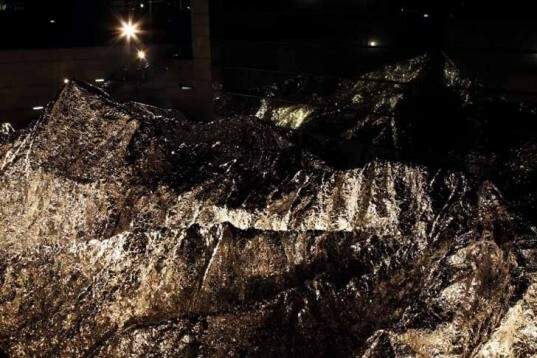 Fake beaches and snow resorts are commonplace in Tokyo, so encountering these artificial metallic mountains is not as strange as you would think, except this educational exhibit is easily recycled. The brilliant 'Aluminum Landscape' currently on display at The Museum of Contemporary Art Tokyo illustrates how the position of the sun, wind changes, and rain flow work together to change how our climate operates. Covering a total floor area of 115,000 square foot, this unnatural landscape reflects the elements and how they change (partly as a result of human behavior?) Placed in the sunken garden of the museum’s second basement floor, the whole picture is revealed to visitors 8 meters above the exhibit. Covering a total floor area of 10,763 square meters, this unnatural landscape reflects how nature changes through the days. It became a mirror that reflects the elements and how they change, amplifying the beauty of all weather. Placed on the sunken garden in the second basement floor, the visitor can get the whole picture from 8 meters above. 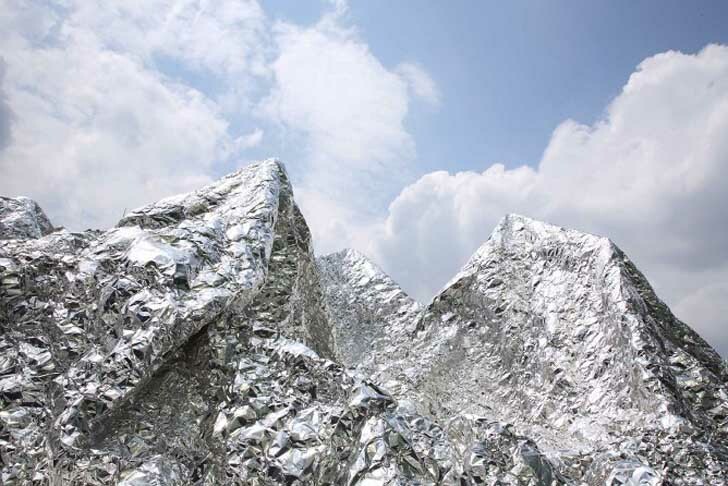 To make this silver landscape aluminum foil rolls and scotch tape were used. Turning 3 dimensional a 2 dimensional material can be surprising and fun, as aluminum is very malleable. Beautiful and mysterious, Office of Kimihiko Okada brilliant 'Aluminum Landscape' it has been most likely recycled into something else by now.